Skye was appointed as an alternate director in October 2016. Skye is excited about stepping up into the role of alternate director on the Board of MG Corporation and looks forward to learning the ropes. 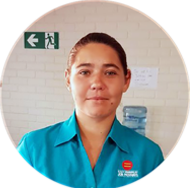 Skye is a member of the Wirram Dawang and has recently held a full time position with East Kimberley Job Pathways.